A retail chain has been fined £450,000 after a ten-year-old girl suffered a fractured skull when a piece of shop furniture hit her head. The schoolgirl, now 12, who cannot be named, was with her mother at a Topshop branch when a queue barrier she swung on fell on her. She was taken to the Royal Hospital for Children in Glasgow, where she was found to have a skull fracture as well as cuts and bruises. The girl, who now has a scar on her right temple, was off school for eight weeks following the incident at the Silverburn shopping centre in Pollok, Glasgow. 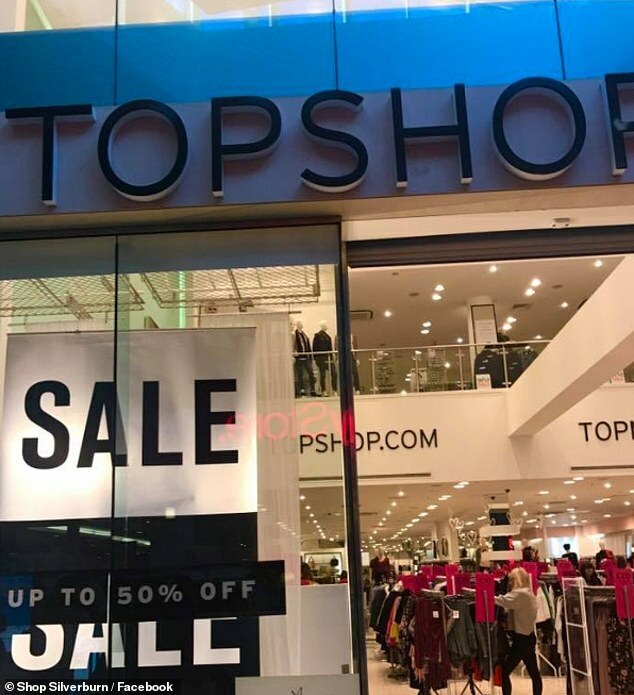 Arcadia Group Ltd, owner of brands including Topshop and Topman, pled guilty last week at Glasgow Sheriff Court to flouting health and safety laws. Yesterday, Sheriff Paul Crozier said Arcadia Group had acknowledged its fault by pleading guilty to breaching health and safety in what was a ‘sad and serious incident’. He said: ‘As a result of the company’s failings a ten-year-old suffered a severe injury and permanent disfigurement.’ But he noted that it had ‘taken steps to make sure there is no repeat of that breach’. Arcadia admitted it had failed to make sure that the queue barrier was fixed to the floor or properly secured, between January 2016 and February 2017, and that led to the girl being injured to her severe injury and permanent disfigurement. The court heard that the barriers were usually only used in ‘flagship stores’ and Silverburn was not one of them. They had been removed from the Argyle Street store in Glasgow and at some stage between January and March 2016 were moved to Silverburn, but were not correctly installed. Procurator fiscal depute Catriona Dow said the barriers were used in stores near the till area to guide customers and often displayed smaller items for sale. Mrs Dow said they ‘required to be fixed to the floor’. She said: ‘On February 7, 2017 the ten-year-old accompanied her mother and her friend shopping at Silverburn. They entered Topshop around 8pm. The girl and her mother had been looking at hats and trying them on. Staff immediately removed it, an ambulance was called and the girl was taken to hospital. Mrs Dow said the girl was treated for a skull fracture, cut and bruises. The court heard the store was shut for investigations and CCTV was checked. 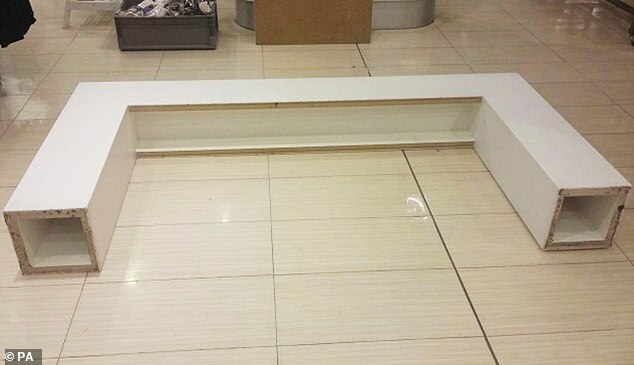 It later emerged that the barrier and a second one that had been brought to the shop were both insecure and not attached the floor properly. They were both removed. The sheriff recognised that Arcadia had cooperated fully with the council and, at the first opportunity, pled guilty to a single charge brought under health and safety legislation.